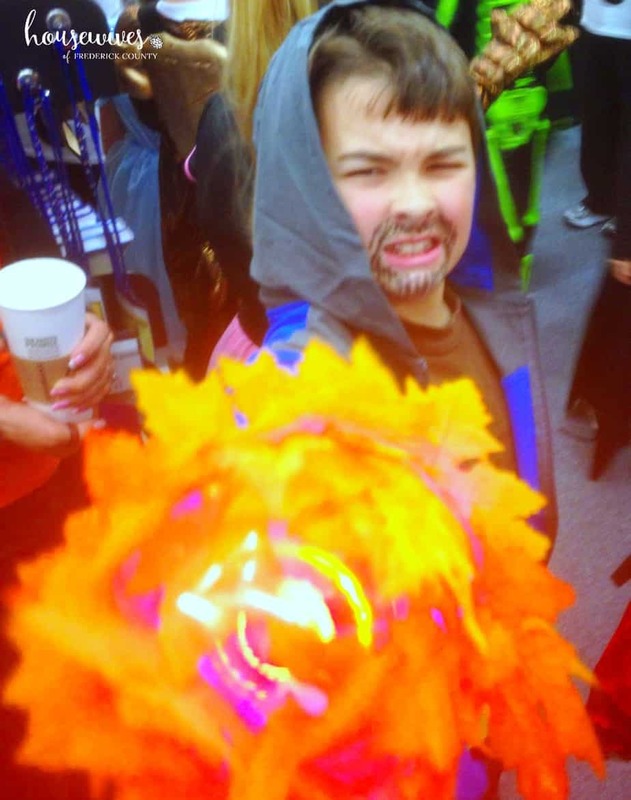 Each year, my son wants to dress up in a costume that I either can’t find online or in stores OR the costume is just so darn expensive that I just can’t justify buying it. 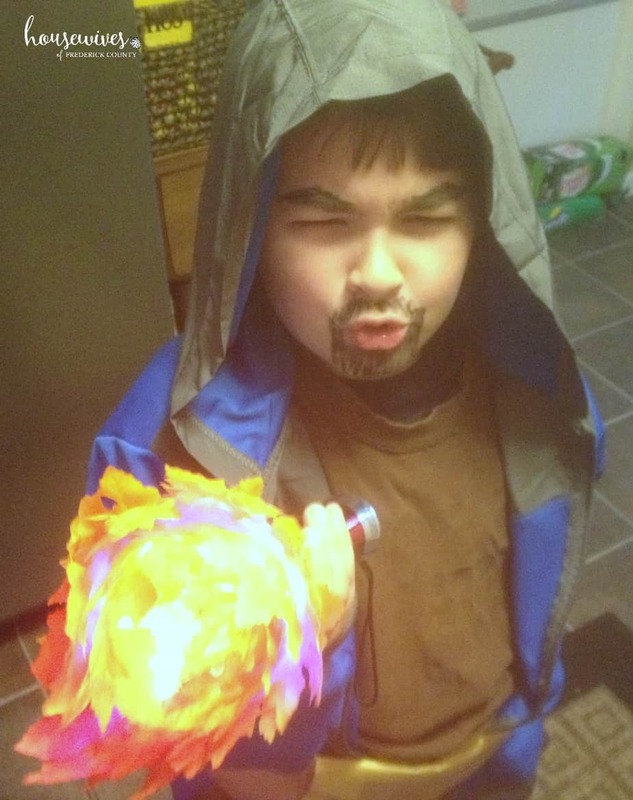 Last year he wanted to be the Wizard from Clash of Clans. 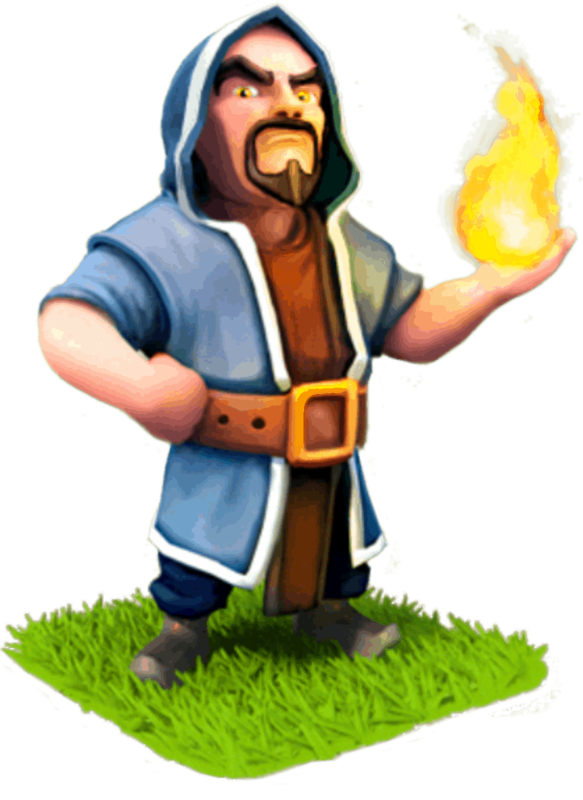 This is what the Wizard looks like. I couldn’t find the costume anywhere online except for on Ebay and it was $104. I did find some ideas on Pinterest and decided it looked easy enough for me to make Wizard come to life with a little imagination. 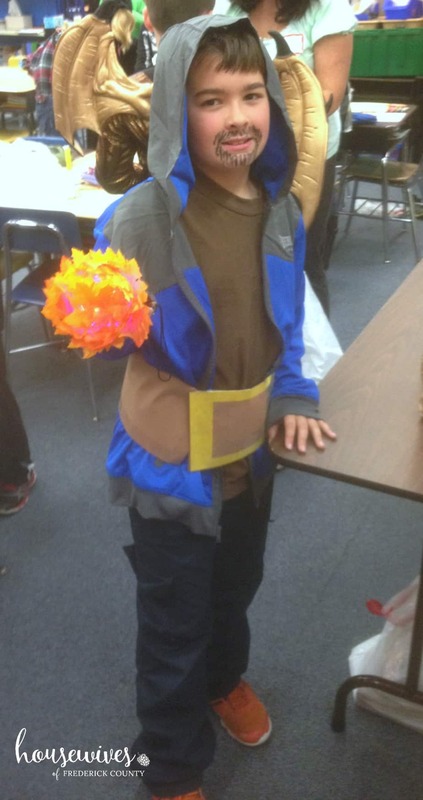 Here’s my son at his school’s Halloween party. He was so excited to be the Wizard and was the ONLY Wizard in his school and among his friends. Yup, I am that cool mom! We didn’t have a belt like this, so I made one with construction paper. It wasn’t the best and it ripped by the time Halloween was done, but it worked. I used shipping tape to hold it together as good as possible. Yeah, we didn’t have any fire balls laying around the house, so my husband, being the MacGyver that he is, found one of those lighted spinning party disco wands lying around the house. 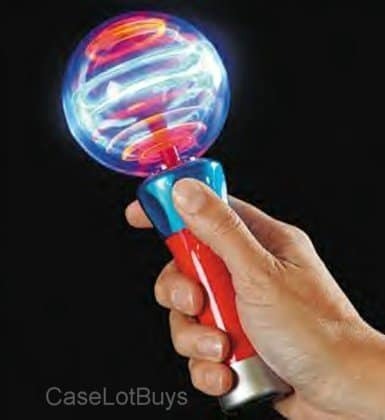 You can get one on Amazon, Party Disco Wand, or pretty much any dollar store. I came up with the idea to tape artificial orange and yellow fall leaves over top of the globe of the party disco wand to make it look like fire. You can get these leaves at any craft store. I used this to draw his eyebrows and mustache/goatee. 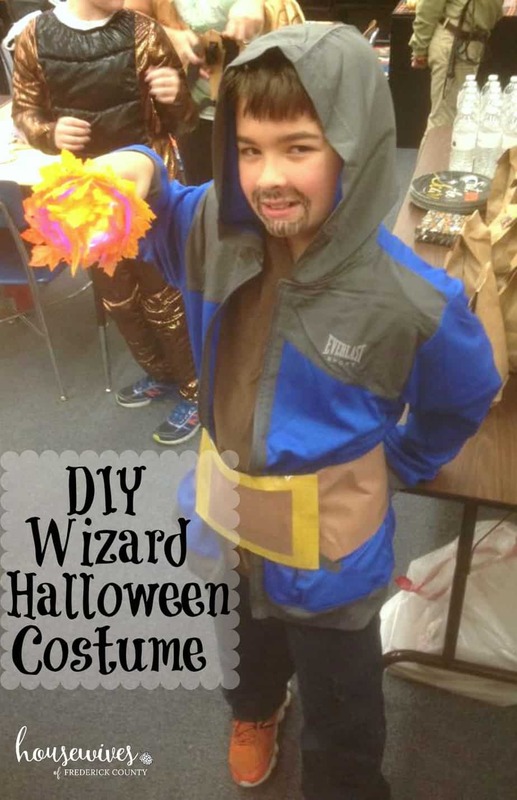 Technically, the Wizard should have dark brown boots on, but my son didn’t have any so I just had him wear his comfortable sneakers. Here’s to another fun Halloween this year! And here’s hoping my son wants to be something that I can easily find or make.